Tapas style dinner provided by Southwest Sask Organics member and local Slow Foodie Sarah Galvin @ $5/person. RSVP REQUIRED! Call or text Caroline 306-774-8411. OR just come for coffee/tea and the presentation at 6. Special Thanks to Sarah Galvin (allourfingersinthepie.blogspot.ca) for organizing our speaker and providing wonderful “slow” food and Aaron Schultz of Prairie Storehouse for providing use of his space for the event! Let’s give dee a real Swift Current welcome! a global, grassroots organization started by Carlo Petrini in Italy in 1986, with supporters in 150 countries around the world who are linking the pleasure of good food with a commitment to their community and the environment. dee is a farmer’s daughter, granddaughter and great-granddaughter. It is no accident that food and where and how it is grown is a passion. 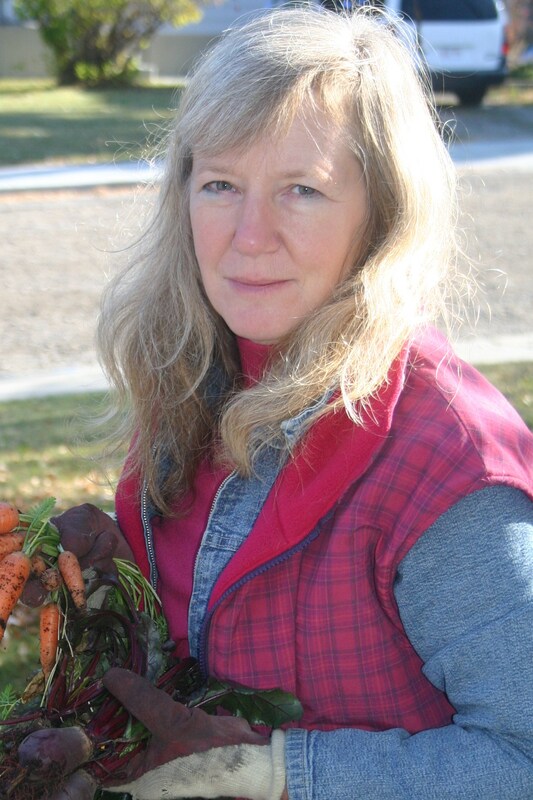 dee has been involved with Slow Food for over 15 years, first in Calgary and now in Saskatoon. She recently returned from Montreal and the national conference for Slow Food Canada. dee’s other passion is writing. She recently earned her MFA in Writing from the University of Saskatchewan. This visit is also part of a tour introducing her two new books, Wilderness Rushing In, a collection of poems, and What Can’t Be Undone: Stories. Previous to these two books she was in Swift Current at the Lyric Theatre for Write Out Loud presenting her book Foodshed: An Edible Alberta Alphabet. dee now lives on the family farm near Saskatoon with her partner Dave Margoshes and their Great Pyrenees dog.